New augmented reality (AR) technology is changing the way kids learn and how they explore the world. It’s not often that you hear kids describe something they did in school as “exciting” or “cool” — except maybe when it comes to AR. In the K-12 range, kids tend to become disengaged from learning due to a variety of factors. One of these reasons is that academic subjects tend to seem dry and too abstract, with kids believing that they have little to do with the world around them. This is where AR technology comes in by providing educators with a tool that layers digital information on top of the physical world. This thereby allows them to recapture kids’ attention with hands-on assignments conducted in the classroom, outside, or at home. 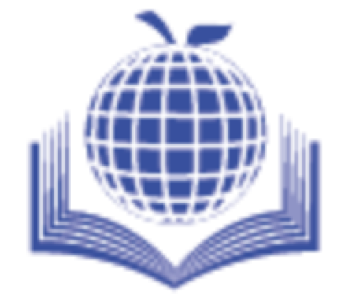 This is similar to blended learning, which we discussed previously here on Literacy Solutions as something that combines teacher-led instructions with online technologies. 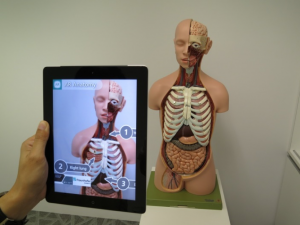 The main advantage of AR is that it is an instructional tool that combines activities with traditional learning to provide greater relevancy to the subject matter. Kids are visual and tactile learners. Rather than letting children sit and read a textbook, which does not provide a real-world representation of the subject matter, AR provides a virtual simulation superimposed over real-world activities. This can help kids relate the text to real-life experiences. As a result, it is more effective in building kids’ math and language skills and gets them excited about learning. For instance, AR can help provide kids with a 3D representation of their lessons in areas like geometry. IoT For All remarks that this allows them to focus on problem solving rather than taxing extra brain power in trying to recreate the shape in their minds. With record low literacy scores around the country, educators and special interest groups are looking to technology to help kids, especially 4th – 8th graders, who struggle with reading comprehension. The Edvocate reports that companies like Alive Studios provide educators with tools like AR-ready flash cards. These incorporate zoo animals that spring to life in 3D and interact with children as they learn reading and math. Kids become fully engaged as they recite letters, words, and sentences, which also helps them better understand language as a result of having relatable and interactive visual stimuli. Using this AR method revealed a 48% increase in letter naming and a 112% increase in letter sound recognition among students. Meanwhile, Edutopia reveals that the technology can also help deaf and hard of hearing students. This is possible with sign language flashcards, which contain a video overlay of how to sign a word or phrase. It’s interesting to note that the delivery of AR material can be as simple as using a cellphone or tablet, or more complex and physically engaging like Microsoft’s upcoming HoloLens smartglasses. Through the use of smartphones and apps like HP reveal, educators can bring their lessons to life and create customized AR experiences. Meanwhile, more complex and interactive technologies like the aforementioned HoloLens will soon be available. This can provide more engaging AR sessions and more lifelike learning experiences. In truth, computers and technology have revolutionized education and are fast becoming mainstream in classrooms throughout the country. This enables kids and older students to be engaged in their studies like never before. Maryville University discusses how computers are now running the world and are a part of every aspect of our lives which has led to “a digital world of opportunities.” The university states that their prominence and “importance in our lives are only going to increase as the technology continues to advance.” From using computers to deliver lessons in both schools and colleges to Internet of Things-enabled devices replacing traditional blackboards, computers have made classes more fun and interactive. As such, educators in the K-12 range know the value of this technology and how it can help kids learn about their world in a more holistic and organic way. With the rapid advance of technology and computers becoming more and more powerful, fully immersive AR experiences like Star Trek’s holodeck are definitely not far off.